Halloween is a yearly celebration observed in a number of countries on October 31, the eve of the Western Christian feast of All Hallows. All Hallows' Eve is a Christianized feast initially influenced by Celtic harvest festivals. Activities of it include attending costume parties, decorating, carving pumpkins into jack-o'-lanterns. Special food for this festival is Pumpkin Bread, Cake etc. I'm going to share a very basic Pumpkin Bundt Cake with Pureed Pumpkin and Pimkin spices, and Egg whites only. 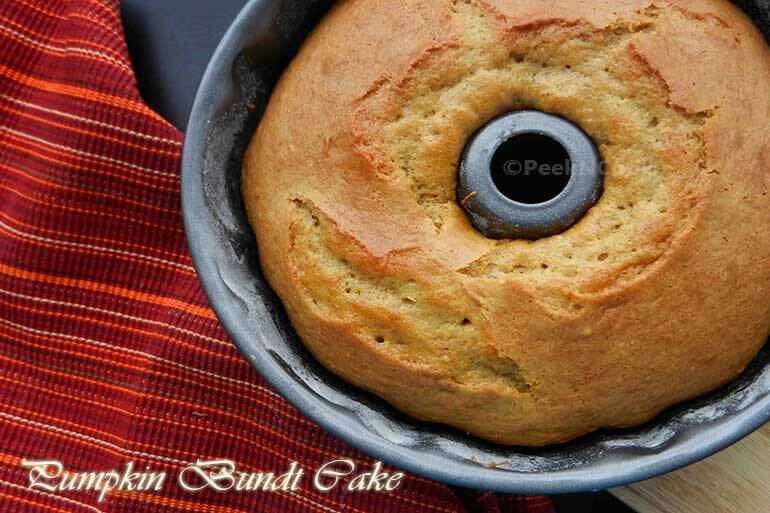 Here is a very Basic And Common Recipe I'm going to share with you, Pumpkin Bundt Cake, with Pumpkin Puree & Pumpkin Spices. Preheat the oven to 350 F .
In a mixing bowl mix all the dry ingredients together. Now take another bowl and add Egg Whites, Oil and beat with a electric beater for 10 minutes. Now add Pumpkin Puree, water and mix with a wooden spoon. Pour the egg mixture on the dry ingredients bowl and mix with a hand mixture to make a smooth cake batter. Make sure there is no lump in the batter. Grease a Bundt cake pan and add the above mixture into it. Tap the pan so that the mixture spreads evenly . Bake the cake for about 40 minutes and check with the toothpick test. After 40 minutes take it out from the oven and allow it to cool. Once cooled remove from the pan and slice the cake, serve with Hot Coffee.